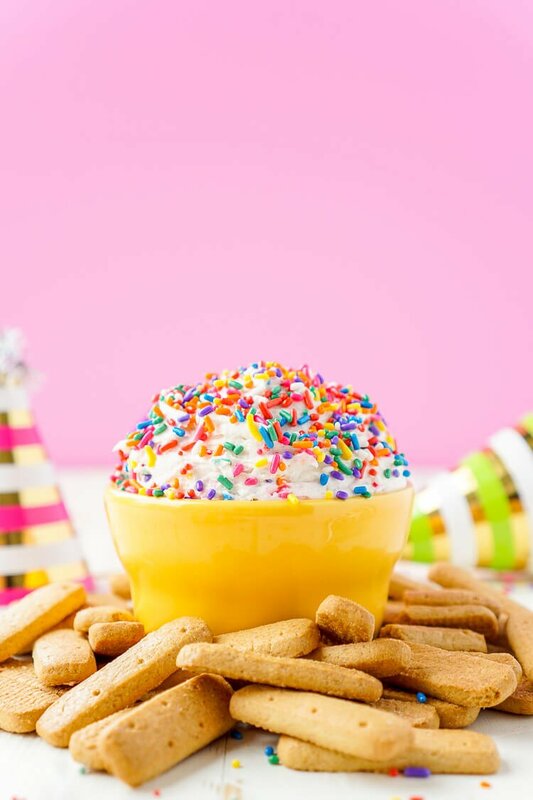 This Funfetti Birthday Cake Dip is perfect for serving up at parties or enjoying by yourself when a craving strikes! 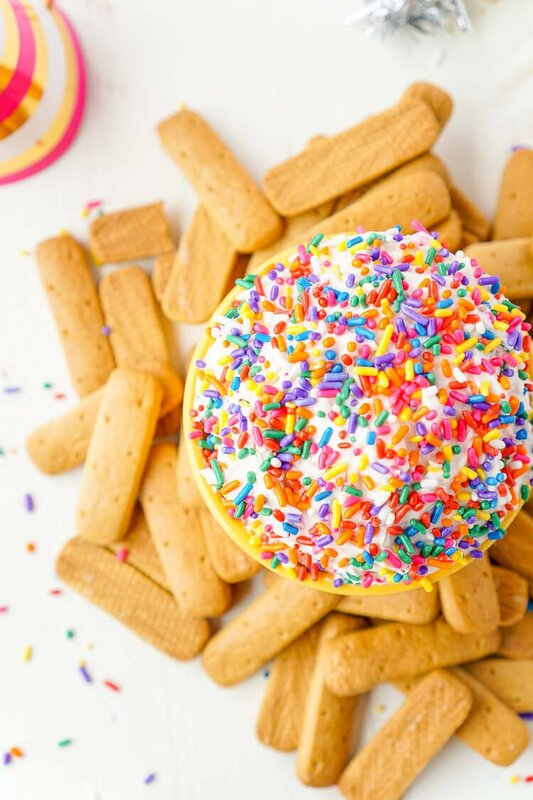 Ready in just 5 minutes and made with cake mix, cream cheese, cool whip, and rainbow sprinkles! As we head into the long weekend, most of you are making plans for your end of summer festivities. Maybe it’s one last weekend at the lake, or a bonfire out back, or maybe it’s doing absolutely nothing – man, doesn’t that sound nice! I hope whatever you’re doing, it’s a good one! As for us, today is actually my husband’s birthday! So we’ll be kicking off the weekend with dinner and cake (just wait until you see it on Instagram – and no, I didn’t make it). Matt is turning 28 this year and I will take advantage of any opportunity I can to spoil the man that does so much for me and who puts up with this crazy life I’ve built for us. Generally, spoiling means sweet treats and small gifts and lots of kisses. 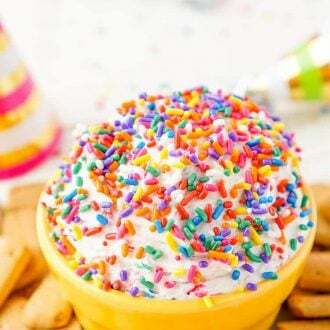 We’ve all grown quite addicted to Cake Batter Dips and I knew I just had to make a Funfetti Birthday Cake Dip for today! 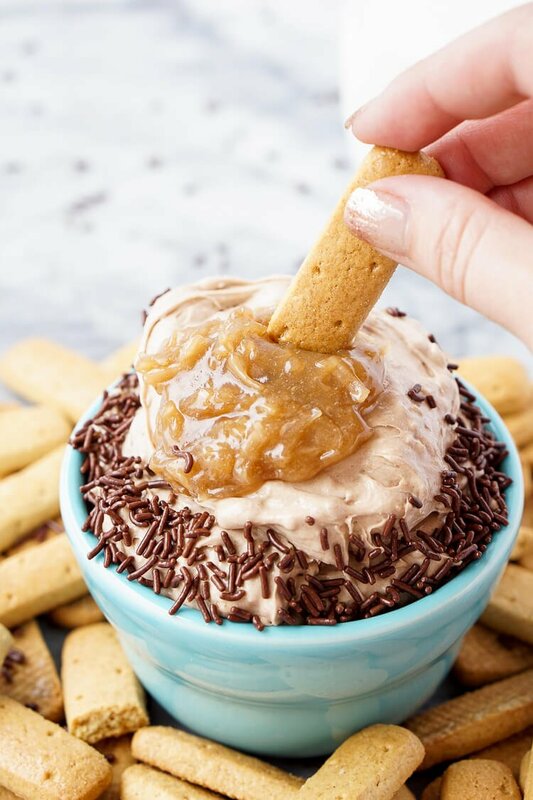 It’s super easy to whip together, with just four ingredients, it only takes minutes before it’s ready for some dipping! Serve it up alongside cake and ice cream or as a snack beforehand. Or, if you’re like me, make it just because on a Tuesday night because you can! 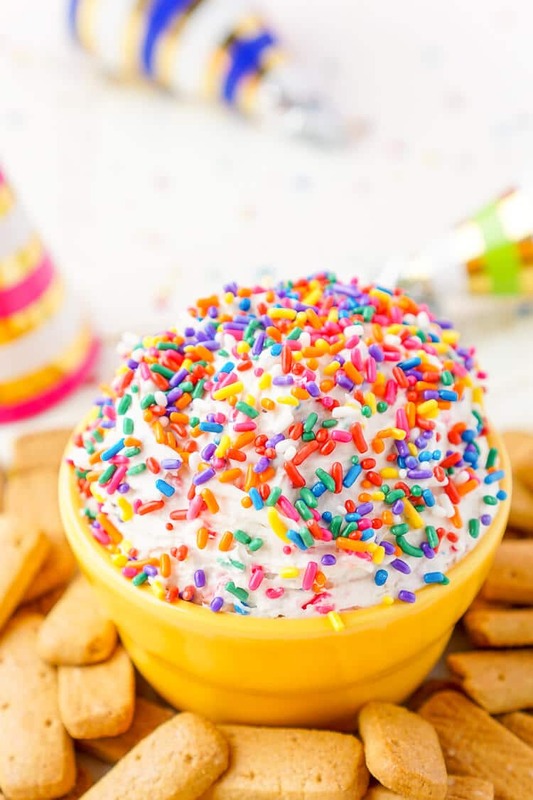 Beat or stir together the cream cheese, cool whip, and cake mix until fully combined. 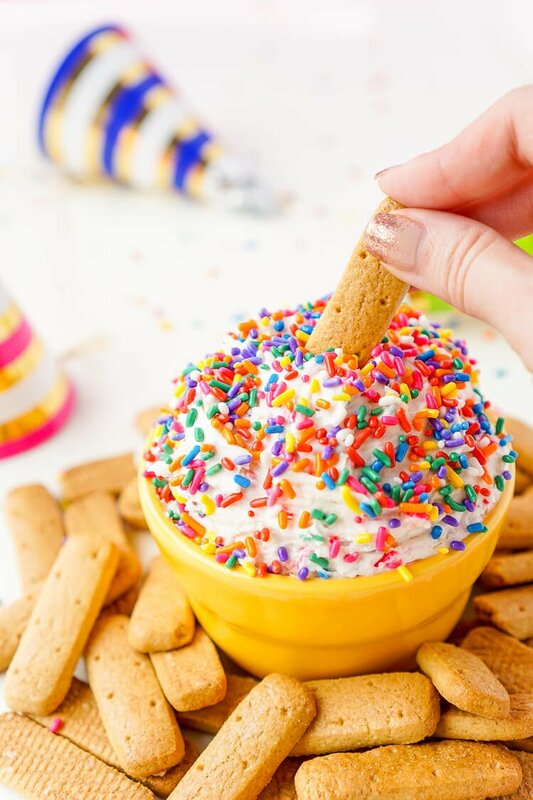 Stir in the majority of the sprinkles. 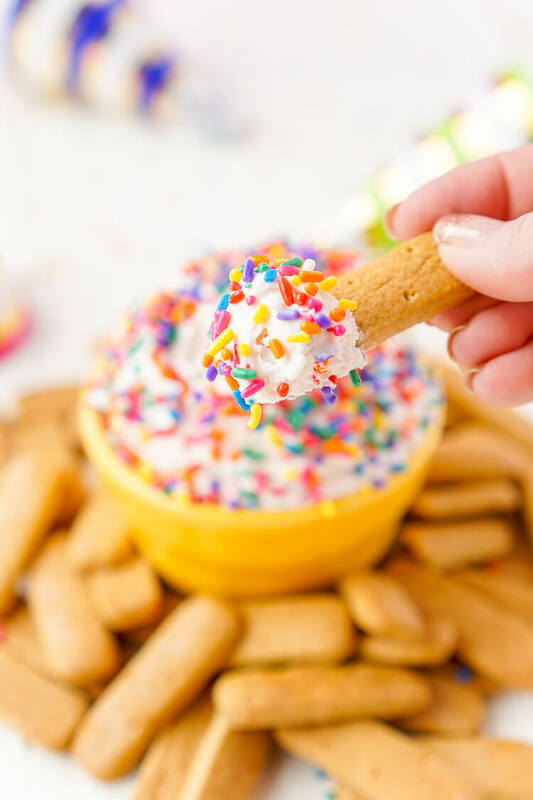 Transfer to a serving bowl and sprinkle with remaining sprinkles. Serve with fruit, crackers, or cookies. Happy birthday to your husband! This does seem like the perfect birthday treat to have!